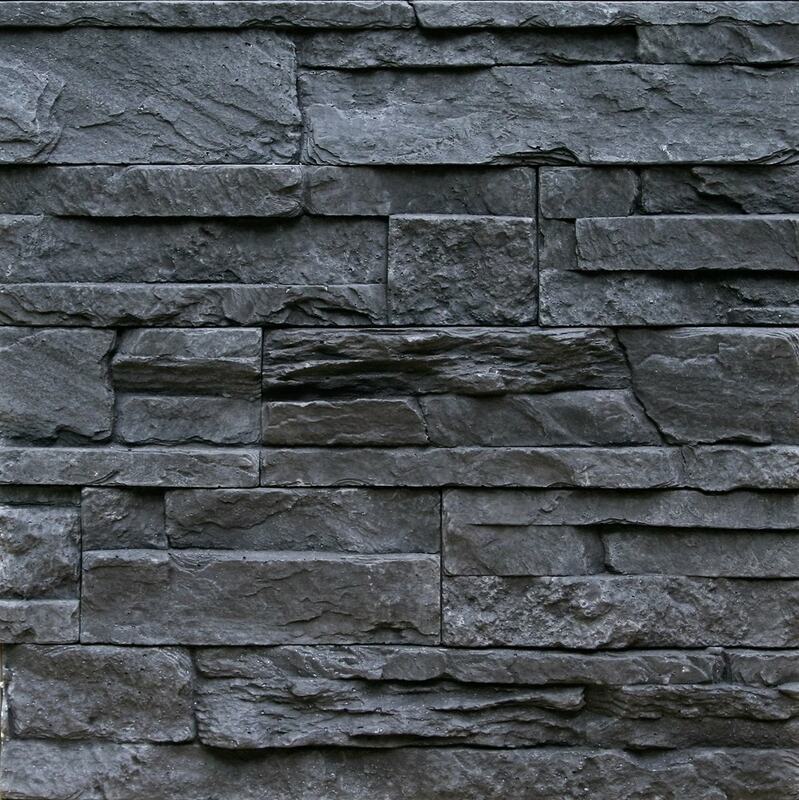 Stone Design Concrete Stone Veneer is an interior and exterior applicable manufactured stone veneer that weighs only 7 lbs. per square feet. This is only 50% of the weight of traditional stone veneer. Normal size walls up to 12 feet often do not need additional structural support when the subsurface (e.g. backer board, plywood) is securely fastened to the studs. Use a polymer modified thin set mortar for exterior application. A premixed polymer modified tile adhesive paste is sufficient for interior application. Mix of 3 stone length sizes: 8", 12", and 21"